Selenite is the most preferred stone for wands used by healers. Selenite needs no cleansing and recharging; It is an ideal stone for cleansing the auric field. Selenite is an angel crystal linked with healing. White selenite bring peace and tranquility. Just looking at a piece of selenite can bring calm. It is a soft stone and should not be put under water. 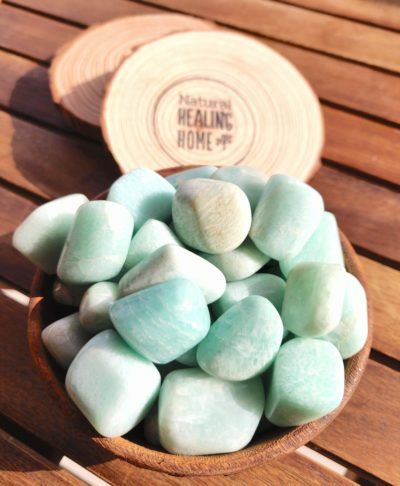 Selenite is best for expecting mothers to help them keep calm and keep worries away. There are no right or wrong ways to using your wand. Below are some of our suggestions on how you can benefit from the healing properties of your Selenite wand. Use a selenite wand over your head (at your crown chakra) with the point touching your head and visualize all the negative energies that are not serving you in any way being sucked out with the help of this wand. Hold the wand in place until you feel you are done. Trust your intuition as this is your best guide. You can also reverse the visualization and instead imagine white light coming from the divine source that is filling your entire body with fresh new energy and vitality. Hold your selenite wand over your crown chakra with the point touching your head until you feel you are done. Trust your intuition as this is your best guide. You can place a Selenite tumble or wand on any aching part of your body to relieve aches and pains. Give this about 20 minutes and you will feel the difference. Close your eyes and run your selenite wand from the top of your head to your feet all around your body visualizing the wand removing any unwanted energies (negativity, stress ,anxiety, etc.) from your auric field. All of the above methods work wonderfully well to calm a stressed mind and exhausted body. Colors: Colourless or semi-transparent. Occasionally peach. 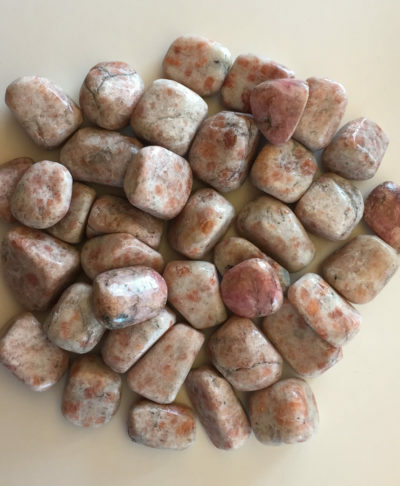 Physical benefits: Said to be useful for blood cell regeneration, vitality, youthfulness, ADD, hyperactivity, fertility, pregnancy, bloating, PMS, menstrual/menopausal issues, spinal fluid, gallstone pain. Emotional benefits: Helps to bring inner peace if you are a worrywart and keep busy imagining trouble scenarios in your head. At the workplace: Aids harmony in partnerships and recognition of potential profit. Best for: An angel crystal linked to Angel Gabriel. Reconciliation stone but you need to make the first move. Selenite Angel in the moonlight spreads loving and calming energies. Affirmation: I welcome dreams but not illusions. Fibre Gypsum, Hydrous Calcium Sulphate, with pearl like lustre.